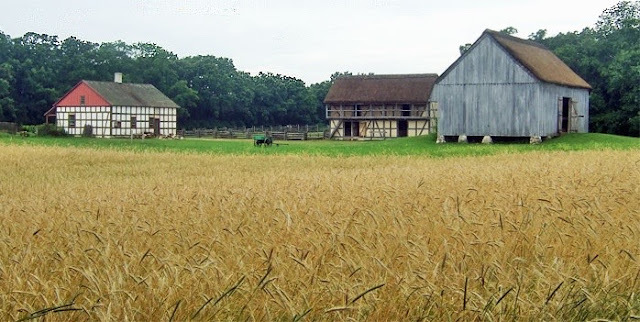 Chloe Ellefson here, curator of collections at Old World Wisconsin, a large living history site. I'm responsible for the management and care of thousands of artifacts, from thimbles to threshing machines. 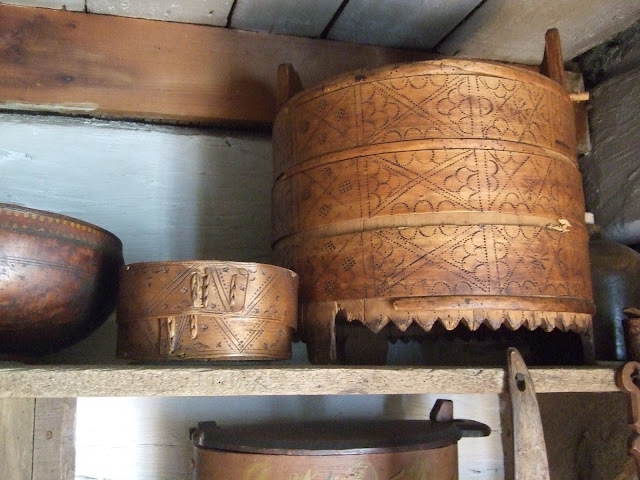 Some are on display in one of the restored buildings on the site. Others are in storage, and brought out for special events. Does that sound like a boring job? I'm here to tell you: it's anything but. I'll admit, when I accepted this job, I thought that dealing with collections would be easier than the educational end of museum work, which I'd done previously. Ha! 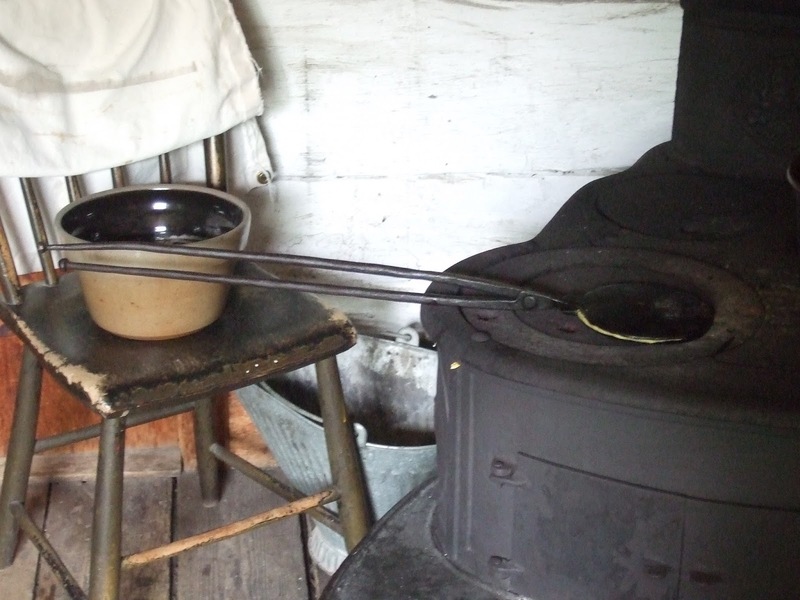 A few artifacts, like this krumkakke iron, are designated for use. 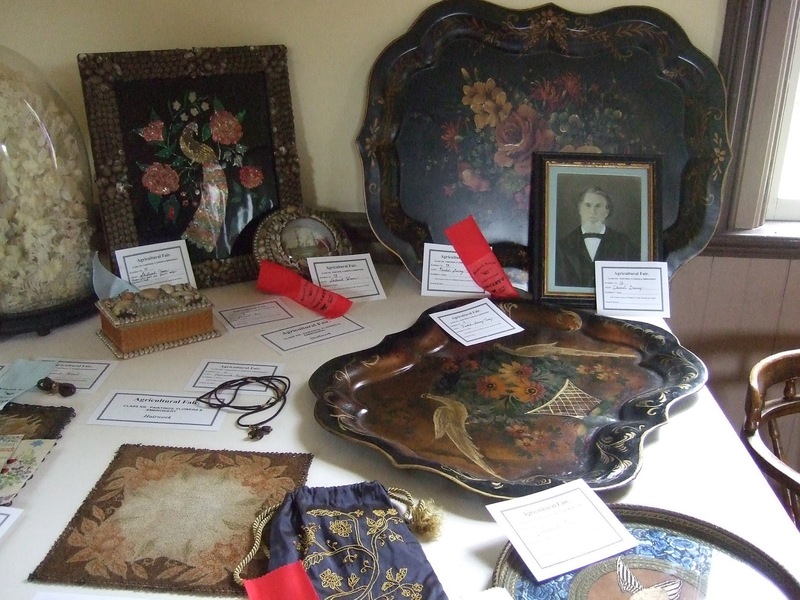 Many of the items in our care are worth a lot of money. Some have deep personal meaning to descendants. On my first day on the job, I discovered that a Norwegian ale bowl was missing. Tracking it down almost got me killed. After that wretched experience, I knew I never wanted to be involved in crime-solving again. Unfortunately, things haven't worked out so well. Sometimes modern crimes---including murders---have roots in past events. Even the best cops can't solve a murder if they don't understand the motivation. 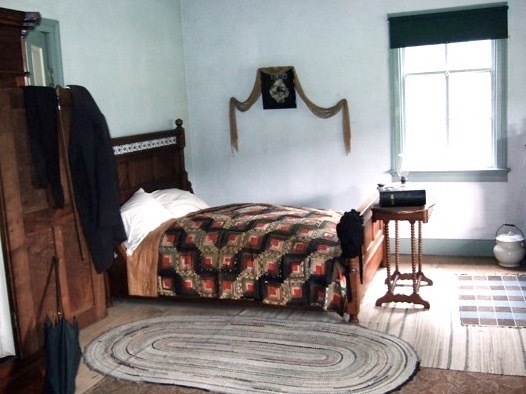 Just the other day I was asked to examine the belongings of an unidentified Civil War reenactor who died at an 1860 farm on the site. I did my best. "Anybody would think you're an experienced profiler," the detective said. I explained that profiling is what I do every day. 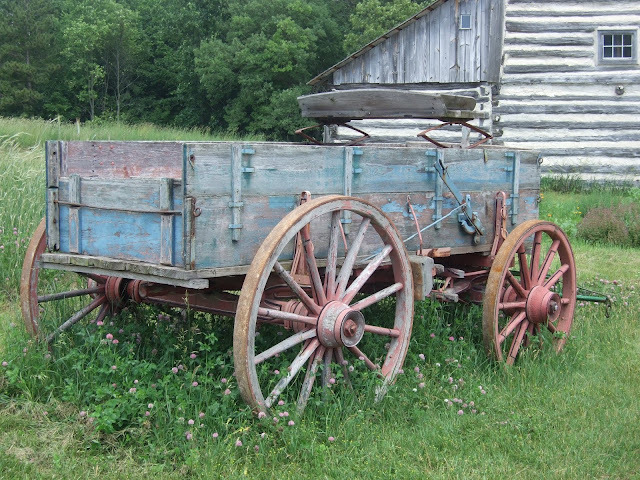 Artifacts are clues to the people who left them behind. Sometimes I have only the tiniest scrap of information, and have to dig deeper to get a sense of the person who made or used the item, and how they felt about it. 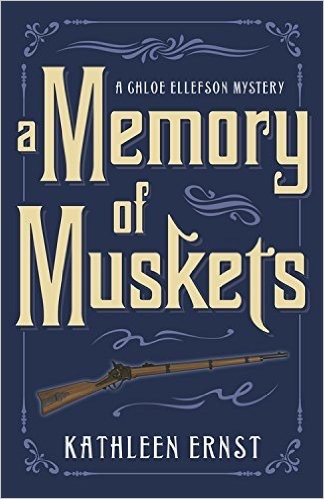 A Memory of Muskets, the 7th Chloe Ellefson Mystery, will launch on October 8. To learn more about this award-winning series, visit Kathleen Ernst's website. What a fascinating post! I love all the photos you shared and your books sound awesome! Thank you Kathleen! You're welcome any time, Sheila! And it's a big place, so plenty of room to hide a body or two. I think Chloe's job sounds like heaven. Thanks for the post and the pictures. Thanks, Annette! I had the pleasure of having Chloe's job, and it was a very special place to work. Now I revisit that time through her. So interesting! I love history. Me too! 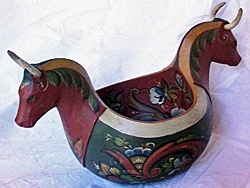 And getting to work with wonderful antiques--especially old folk art--is great. Wonderful post, Chloe! I think your job sounds fascinating, fun, very hard, and sometimes very dangerous. Tell Kathleen to make sure you are careful. Merry Lu, I'll try. But sometimes I just have a mind of my own. 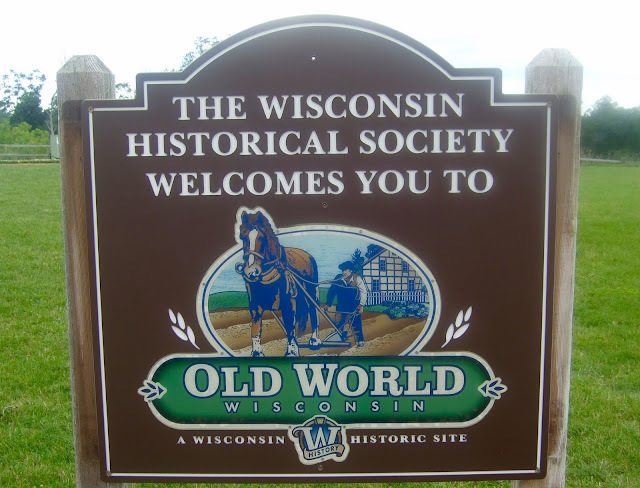 We lived very close to that Old World Wisconsin for about 6 years but never got there. Very interesting! Very interesting post. I really enjoy going to museums and historical places. Wow I absolutely love it. I used to be a Curator and had a huge amount of artifacts to catalog. 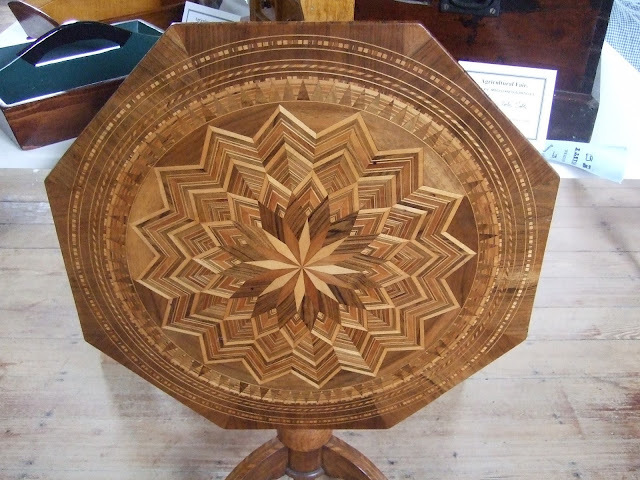 It's fascinating work if you love it and I did.